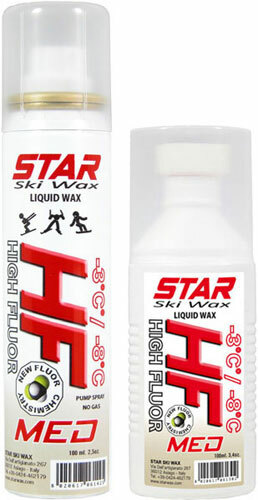 Three years ago STAR SKI WAX revolutionized the world of competition by introducing the “HF liquid base wax” line. Never before liquid paraffin bases had shown they could be better than the classic solid waxes we all know. 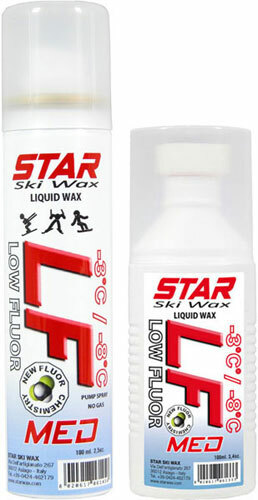 Today we are pleased to present “RACING LIQUID WAX” a new and competetive line of products that use the same and well tested technology but with a greater attention of respect for the environment. This line of products in fact uses a new generation of Fluorocarbon that is already compliant with the new European regulations of 2020! The line includes the HF bases with a high content of fluorocarbon, the LF with medium fluorocarbon content and the NF or “Fluor Free” which do not contain any fluorocarbon. 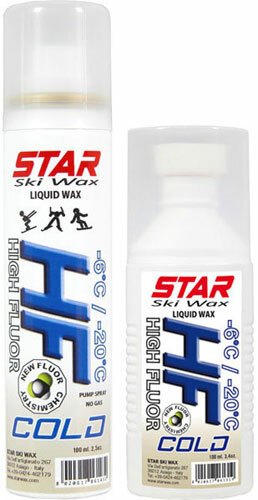 In some youth competitions the use of fluorinated substances is prohibited. 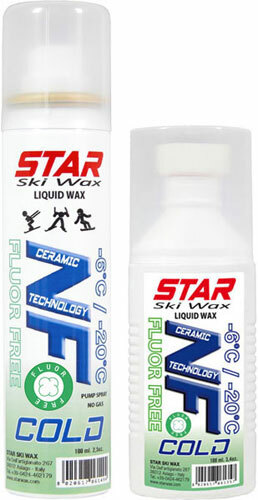 The NF Line is enriched by the “Ceramic” technology that guarantees excellent performance! All products are available in containers with “spray” pump or “sponge” application to meet the different needs of the user. 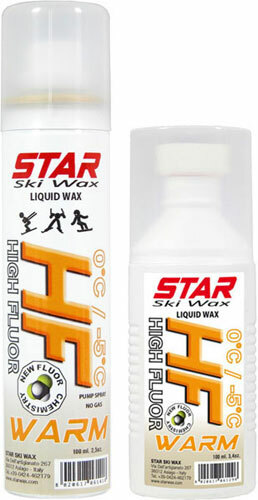 1) Cold application: Spray (in the case of the pump application) or dab with the sponge pad applicator directly to the ski base. Thanks to the Drying Fast technology the product drys in 2 minutes and finish waxing with final brushing! Ideal for sprint or youth races. 2) Application with cork buffer: Repeat as cold application, but before final brushing the base, rub energetically with a natural cork. 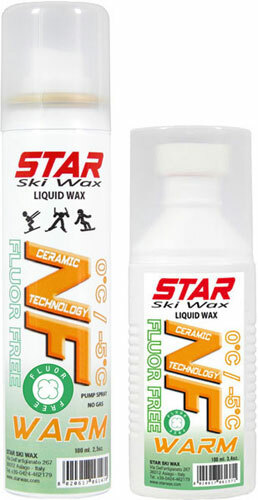 This procedure allows a better adhesion of the wax to the base and therefore a longer duration especially on abrasive snow. 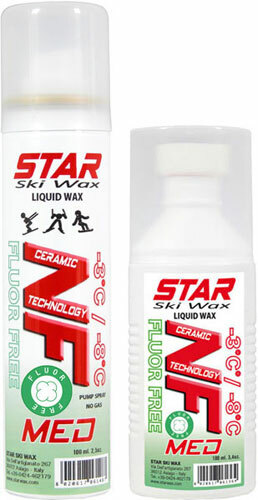 Excellent for alpine skiing or snowboarding competitions. 3) Hot application: Once the product has been applied to the base, iron in with one stroke from tip to tale of the ski with the iron at 130C ° and then final brush! This type of application guarantees a durability that is completely comparable to that of traditional waxing. 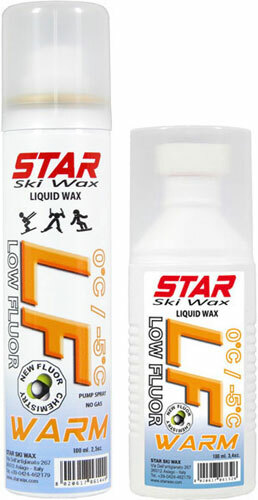 All the products of the “RACING LIQUID WAX” line are excellent used alone, but they can covered with products from the 100% Fluoro line. 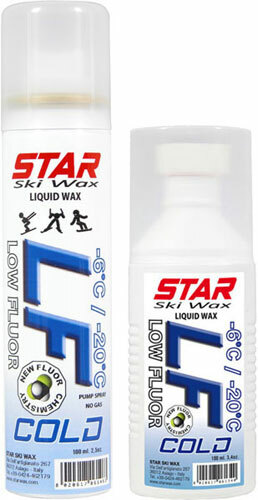 RACING LIQUID WAX are available with three wide temperature ranges COLD (cold or icey snow) MED (Universal) and Warm (wet or melting snow).